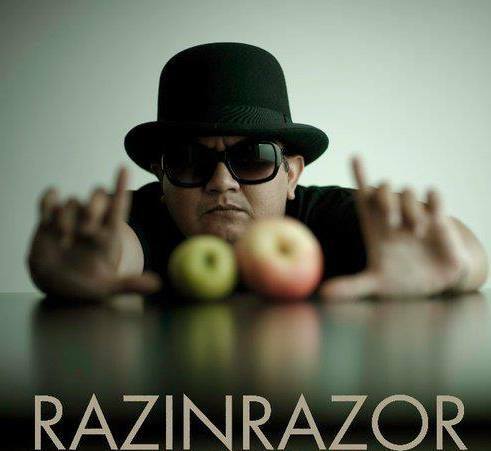 Razin is a dear friend of mine who turned one of his passion into a money-making business, and very successful at it. He is one of the few people who managed to break this “iron-ricebowl” mentality, and made a very difficult decision to leave his managerial post in a government agency to start his own studio. He has now moved to a bigger studio,with a steady base of clients, and even opened a sports good business on the side..Just how many sides does he have?? Jokes aside, Razin is one who had the guts to make on his own in a very competitive market. Regardless of the economy, his business will still go on. Why? Weddings will still take place,and photographers are a must. Models will still want their portfolios. Graduates will want proper studio photos. This is by turning his passion, his skill into something that puts more than food on the table. It gives him the satisfaction of filling his soul.